Coles Miller LLP, one of Dorset's leading law firms, has partnered with digital agency Intergage to provide the firm with an online marketing strategy that would deliver a real return on investment. We don’t just see Intergage as our Web marketing partner, we see them as our business partner and we look forward to a long and successful future working together. Social media training for Partners, Fee Earners and other Executives. An optimised content marketing strategy for online and offline distribution in order to create better search engine positions and market awareness in specific target sectors. On-going development of the main Coles Miller website and social media properties. Coles Miller’s objectives are to increase business from the local area for general legal services work and high-value personal injury work from a wider geographical area. “We partnered with Coles Miller to help them build a long term and sustainable lead generation system” he added. The first step of the strategy was to move Coles Miller’s existing website to the Intergage Web Content Management System. A content management system was vital moving forward as Coles Miller’s previous website had restricted access, making simple content changes painful and difficult to keep up to date. 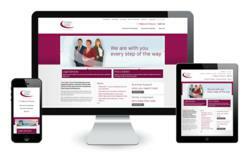 It was also paramount that the new website was accessible by mobile or tablet devices to deliver a smooth user journey. The Intergage web design team worked tirelessly to create a responsive mobile website design that would work across multiple platforms. With the huge influx of mobile web users in recent years with the advent of smart phones and tablets it has never been more important to have a website design that is adaptable to different size screens. This ensures visitors can find out about a business on the go. Intergage created a clean and simplistic interface so that visitors to the site could quickly find a solicitor who specialises in the particular field that they looking for. Within the first month of the website going live, Coles Miller reported a 50% up lift in sales enquiries. “We don’t just see Intergage as our Web marketing partner, we see them as our business partner and we look forward to a long and successful future working together” he added. This has always been the intention of Intergage and is what sets them apart from their competitors – to ingratiate themselves into the businesses they work with, offering a complete marketing solution whenever it is required. Interage’s relationship with Coles Miller is a fitting example of this. Coles Miller asked Intergage to design a website and help them market it. What they got however was a complete digital strategy which enabled them to create awareness, convert more sales and increase profits. For more information about Intergage’s complete web design and digital strategy solutions, please visit http://www.intergage.co.uk or contact Intergage Marketing Manager, Emma Barrow, on 0845 456 1022.